MoJo Promotions hold a brilliant selection of personalised 16cm products, all tailored to be custom printed with your requirements. 16cm Products provide a first class way to present your company name. The fun and practical features held by personalised 16cm products is guaranteed to ensure your marketing objectives are met. 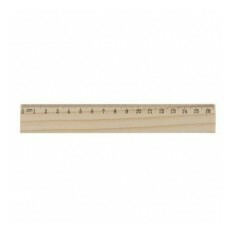 Our variety includes - 16cm Wood Rulers. All of our goods can be printed to suit your needs, please contact us for more information. Our custom printed 16cm Wood Ruler is perfect for schools and offices. Made f..